Adventurous and bold. The choice is yours. We handle your makeup & hair. You live your fairytale story. What you wear and how you wear it is an expression of who you are. Whether its a subtle pink lipstick or black smokey eyes, you have the power to create and own your style. The main reason why we want to look good is to smile and wink at our own reflection. We know you’ve still got it. Our goal at Eyes on Makeup is to ensure that time stands still, the moment you walk into the door. View our work. We have various bridal packages available to suit your budget and your bridal party. Your hair is also as important as your makeup. Why not choose a combination of hair and makeup? We’ve got you covered for every occasion. Lashes are also supplied and applied at an additional cost. We are pleased to announce that we give discounts to group bookings. Bringing your glamour ideas to life. Look & feel beautiful always. We specialise in bridal and special occasion makeup applications. Using professional products such as MAC & Kryolan ensures that your make-up lasts the entire day. 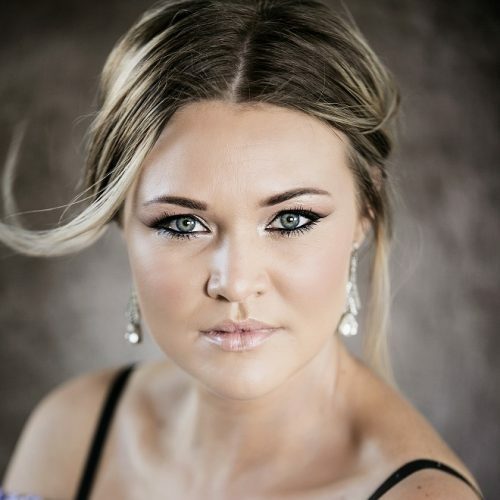 Teniell Marais has extensive experience in makeup, hair and event coordination. Her skills and adaptability to her clients’ requests and personality types sets her apart. Her friendliness, professionalism and creativity is unrivaled.